A Circus Oz cabaret celebrating the gloriously gaudy, glammed up 80's. 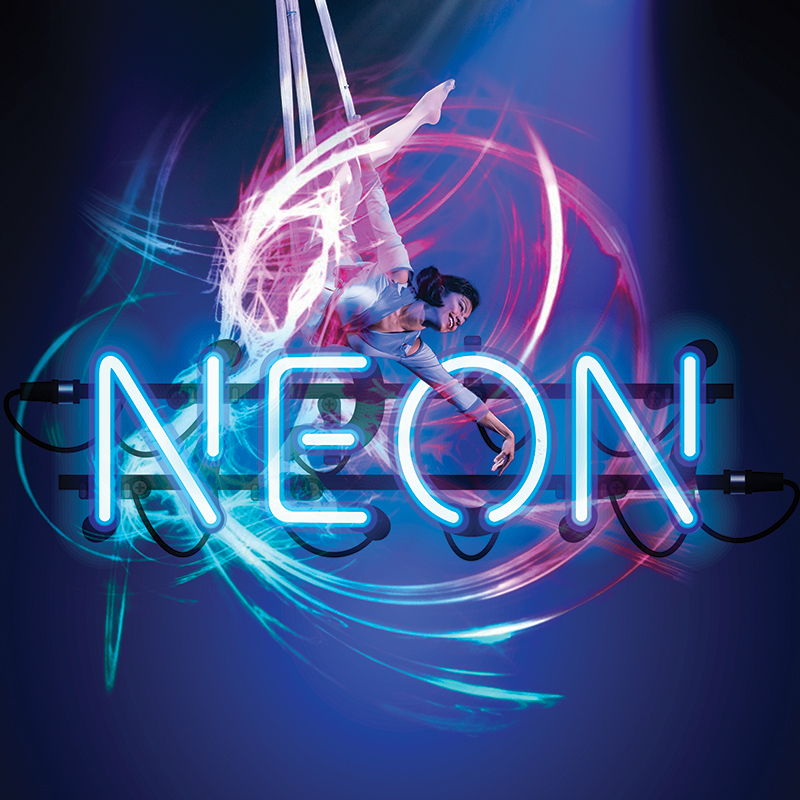 NEON is an unapologetic, funny, and downright dirty dancing cabaret where circus meets comedy and song in an unforgivably big shoulder pads night out. This is Circus Oz as you've never seen them - adult, uncut and with hazardous levels of hair gel. Founded in 1978, Circus Oz has toured to 28 countries, performing its uniquely Australian form of contemporary circus to more than four million people of all ages and cultural backgrounds. Celebrating breathtaking stunts, irreverent humour, cracking live music and an all-human ensemble, Circus Oz promotes the best of Australia: generosity, diversity, death-defying bravery, and a good time for all. Each year alongside its national, remote and international tours Circus Oz runs over 1,300 community workshops and hosts a number of artform development programs, including its award-winning BLAKflip masterclasses for First Nations artists and Sidesault program supporting independent artists, together with a breadth of performances within the bejewelled walls of The Melba Spiegeltent. Hazardous levels of hair gel.